Cozy Terra Bamboo Velour Hoody - Small - Unalome Designs: It's you, by us. 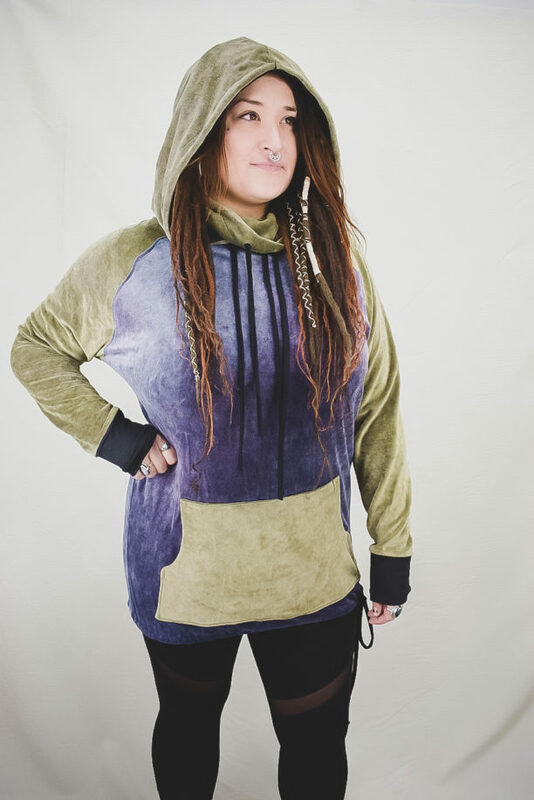 One of a kind, herbal-dyed, with all the bells and whistles – this over-sized raglan hoodie is a beautiful mashup of urban streetwear and sustainable, boho fashion. 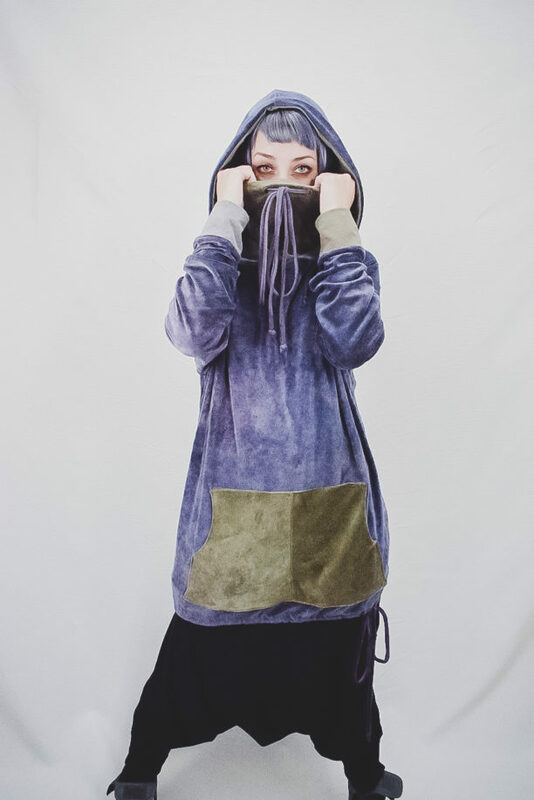 Featuring organic bamboo velour exterior, contrasting organic hemp / cotton jersey hood lining and accents, interior cowl-neck, large kangaroo pocket, gunmetal grommets and a few other little secrets – it’s truly next-level luxurious. Strictly the Highest Quality Organic Fabrics | Herbal Dyes | Made by One Woman ! The array of natural dyes used to create this one of a kind garment includes: Cutch, Turmeric, Pomegranate Rind, Indigo Dip. Additionally, low impact fiber reacted dye is used for the hoodie’s black lining.